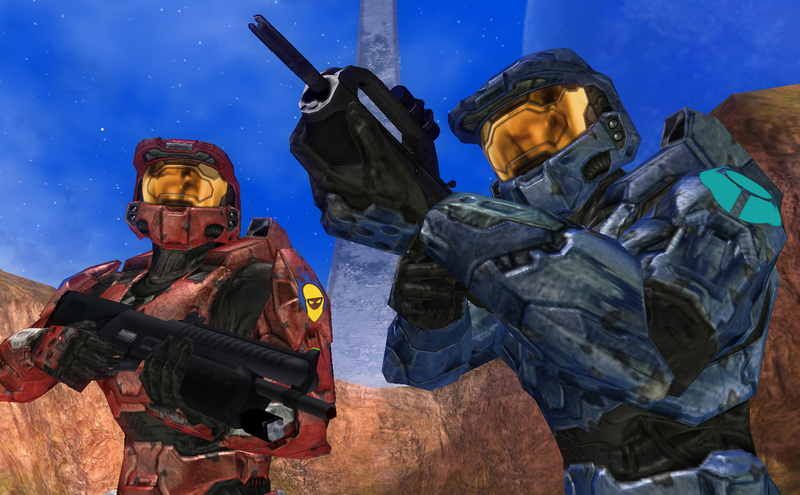 Originally created as an online web series, Red vs Blue exploded and became a cult phenomenon among the world of geeks, nerds and video gamers. But ironically, it's appeal even touched mainstream thanks to the witty story telling and amazing scenarios that its creators imagined. This collection, entitled "The Blood Gulch Chronicles" collects all 100 episodes from five seasons that equates to around 8 hours and 49 minutes of pure comedic entertainment. This my friends is true Champaign comedy at its best set in the wondrous world of Halo, one of the world's most renowned first person shooters. As mentioned, the series is based in the video game world of Halo 1 to 3 and if you have played the game, you'll notice that many of the locales are straight out of the Halo multiplayer maps which is definitely a tip of the hat to fans. The series also highlights the world of online games but in Red vs Blue, it tells the tale of two armies who can never get it right. These are the hapless, the hopeless and the horrible as we get a glimpse into their strange lives. Red vs Blue also parodies mainstream films as well, so don't be surprised when you hear or "see" a reference from a particular action movie. And with that said, Red vs Blue is not for children as the language can be quite disturbing at times, especially some of the hilarious sexual references and outrageous comments. Initially the stories are quite basic and quite short but as the series progresses, its creators up the ante with cliff hangers and some great characterisation between the characters. So what's the story with Blood Gulch? Blood Gulch is the canyon where this war between the reds and blues take place. However one of the biggest twists in the series is that in actual fact both armies are working for the same side that really throws a classic twist into the story. I really don't want to spoil any more of those stories because they need to be experienced to be really enjoyed. 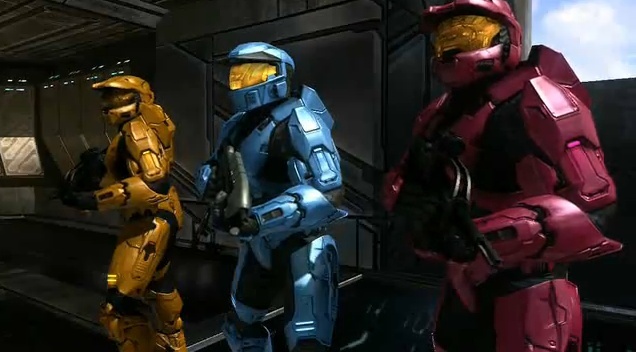 In terms of protagonists, Red vs Blue contains a dozen of main characters and just about all of them have standout moments. Whether it's Sarge, the most serious soldier of the Red team or Dexter Grif, who really couldn't give a F%@K about what is happening, it's these characters that make Red vs Blue shine. With lots of amusing scenes, it's hard to pick a favourite scene through five seasons because there are way too many of them. For me, my favourite scenes include Tucker (Jason Saldana) being informed that he is pregnant or when the Blue team takes donut, a new recruit hostage. I was almost pooping myself with laughter from these strange storylines. Some the dialogue is so cheese that at times, it's like watching a real multiplayer match of Halo. From action to comedy, drama to romance, Red vs Blue is definitely a snapshot of modern society and if you have any geekiness in you, than you really need to check out this series. Apart from the cool characters and amusing stories, the best part of Red vs Blue the Blood Gulch Chronicles is that season 1 - 4 has been remastered which means the overall quality has been vastly improved. This means that the low resolution webcasts of 360x240 now contain an almost acceptable resolution of 640x480 and the fifth season is even better. Then you have the special features that contains outtakes, hidden tracks, audio commentary, alternate endings and more. I'm really surprised at how much additional content is included in this box set. It may be a little pricey but this is one series that you can continually come back to over and over again.